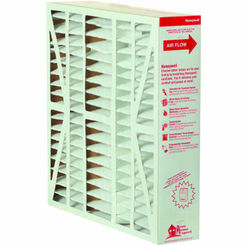 We carry a nice selection of discount HVAC filters here at PlumbersStock. Commonly referred to as air conditioner filters, these filters will clean the air circulated by your heating and cooling system. 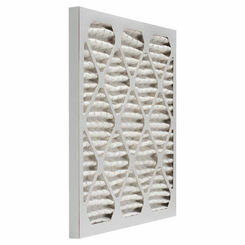 Browse around to find the best central air filter to match your installation and needs. Many people who have allergies or asthma rely on a well-filtered HVAC system. 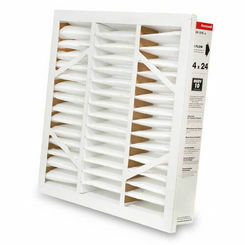 There are so many allergens and pollutants in the air that those individuals would not be able to breathe properly in their own homes without a central air filter. 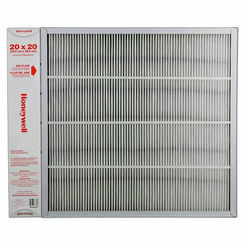 This is why PlumbersStock offers a huge selection of discount HVAC filters (Honeywell, GeneralAire). Shielding your HVAC system from dust and airborne particles are essential to proper maintenance. Because they are “out of sight and out of mind” some people tend to forget about replacing them. It’s important to replace regularly. 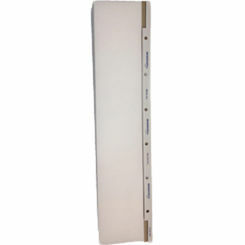 Not only does the HVAC filter keep the system safe from potential damage but it is also constructed to improve the quality of the interior air. Depending on the size and output of your heating and cooling system, you should replace your HVAC filter every 1-3 months. 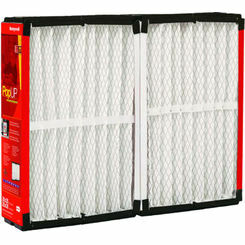 Make sure your Filter has a good MERV rating: The MERV rating of a filter alludes to its ability to catch air particles, and the higher the number, the better. Make sure to do research on the product you purchase and make sure it works up to your expectations. 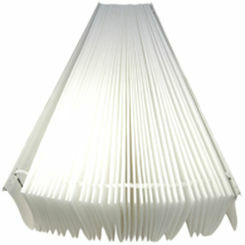 Only change the filter when it looks dirty: If your pleated filter is clean even when it’s time to change it (once every couple of months or so), keep it installed for the meantime. However, you may want to check a few things, such as: is it on backwards? Does it fit correctly? Is your rate of air exchange correct (around 15 minutes per cycle)? If all of these check out, allow it to remain until a film of dust is apparent on the filter. 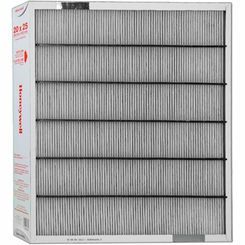 Do not allow a dirty filter to remain in place for too long: If you do not replace a dirty filter quickly enough, you may cause damage to your AC system. 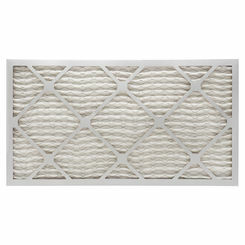 The secret to AC upkeep is quick and accurate filter changing, so make sure you check often. 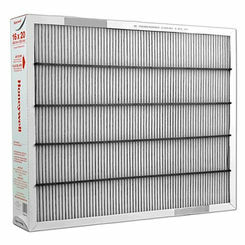 How Does a Central Air Filter Work? The HVAC system brings air in, and either heats it or cools it then pushes it back out into the area that needs heating or cooling. The air is filled with many pollutants such as pet dander, pollen, fabric particles and a variety of other pollutants that are all running through the system. 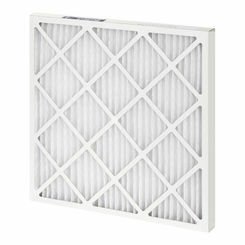 With an HVAC air filter, it will separate those particles out as air is being brought in, then pushing clean air out. Without the filter, all these particles would get stuck within the system, likely damaging it. The way this filter works is it acts as a physical blockade between the air coming in and the moving parts of the system. While the air is coming in the pollutants are being caught by the filter and stopped from entering while the air is allowed to pass through. 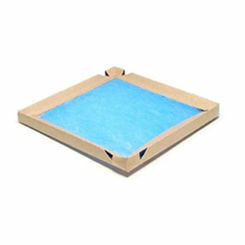 HVAC filters are usually made with one of three materials the first is fiberglass. This is the most economical filter but only has the ability to filter out larger particles and needs to be changed once a month. 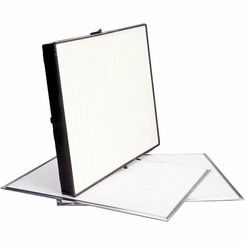 The second kind is the electrostatic filter which is more efficient at capturing both small and large particles. The way this system works is that as the air flows through the filter, a static charge is created that draws and clutches the particles in the air. They are reusable and need to be washed regularly to stay proficient. The third filter system is the high-efficiency particulate arrestance or HEPA this is the most effective system it catches and removes almost all particles going through the HVAC system. 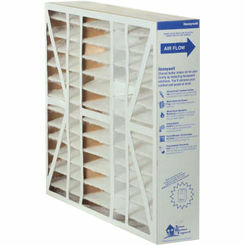 These air conditioner filters are the best for cleaning the quality of the air in your home. When choosing air filters for your home, many are oftentimes tempted to pick cheap ones—particularly since the high replacement rate can get quite expensive. While this may be a good choice if you are on a budget, you may want to graduate if you can afford it. 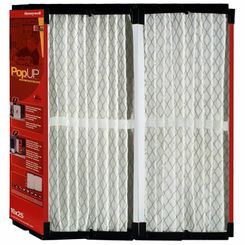 Though it may not seem like it, expensive replacement air filters work much better than cheap ones; in fact, the most high-quality filters—ones made of small pleats, pores, and disposable fabrics—can remove upwards of 95% of the contaminants in the air. On the other hand, the cheap disposable ones remove less than 50%. 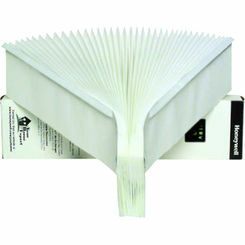 Keep this in mind when choosing your pleated filters (and make sure to look at the MERV ratings when picking your filter). 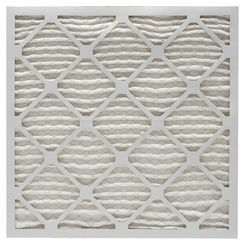 All kinds of different filters are important to the home, especially those intended for the heating and cooling system. PlumbersStock.com is devoted to giving you the best customer service so please feel free to contact our team today to help you with all your filtering needs. 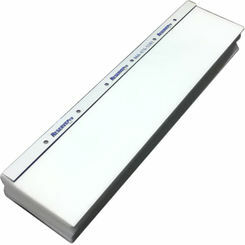 Shop around and check out all our HVAC accessories.